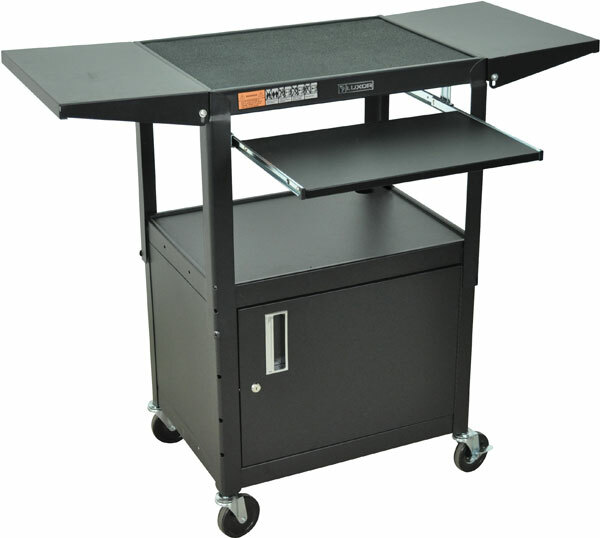 This Luxor AV steel computer cart can be used while sitting or standing owing to its height adjustable feature. Comes with multipurpose shelves that are made with powder coat pain finish, and no slip safety rubber mats (except on the top shelf.) The drop leaf side shelves give ample of room for accessories, and fold away when not in use. 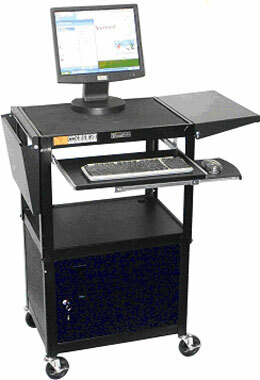 It's ergonomic design is facilitated with the convenience of a pull-out keyboard and mouse shelf. 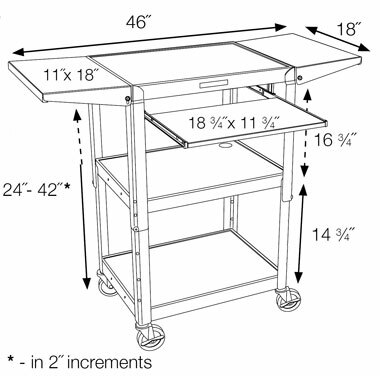 Shelves that have a 1/4" retaining lip, and casters with locking brakes, helps keep equipment from falling off the cart. Store away you equipment securely in this included locking cabinet. Wire management is made simple with a top and middle shelf that have cable pass through holes. Keyboard Tray: 18¾" x 11¾"